The Kraken Image Optimizer is very easy to use. It allows you to optimize new and existing images. It offers lossless and lossy optimization methods and supports JPEG, PNG and GIF files. All the images you upload through the media uploader are optimized immediately. You can also optimize images already in your media library individually or in bulk. Just grab your Krakon API key, and you will be able to optimize your images fast. There is no per site license for you to worry about. Kraken.io offers various plans for image optimization. For $9 a month, you can upload up to 2 GB of images per month. You can pay $4 for each additional GB. More expensive plans are also available. Not sure if Kraken is right for you? Just try the free web interface to get an idea how this tool works. 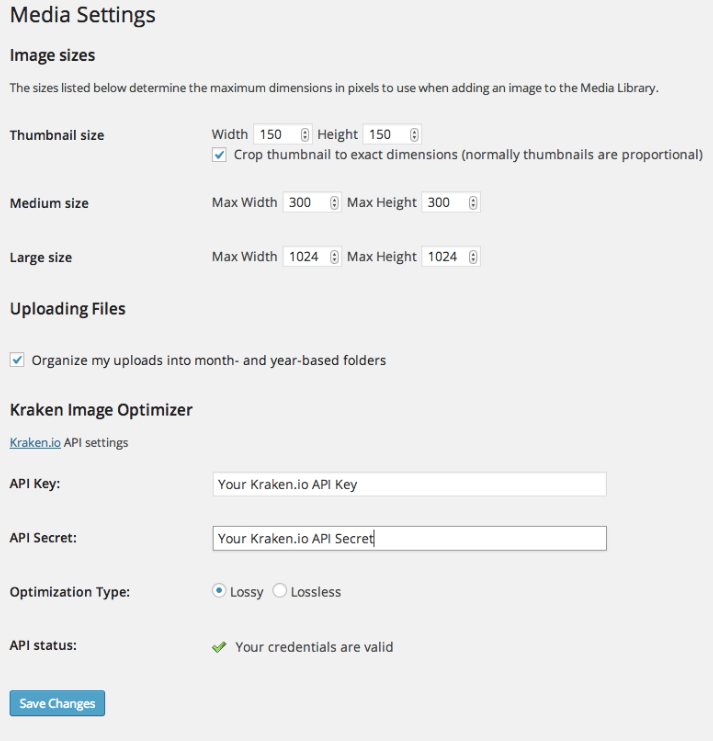 The Kraken Image Optimizer simply makes it easier for webmasters to take advantage of the Kraken API to optimize their images.